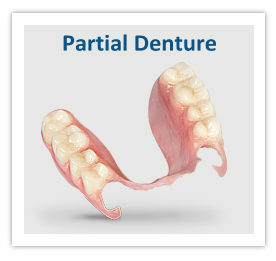 There are two main types of dentures: full and partial. Your dentist will help you choose the type of denture that’s best for you based on whether some or all of your teeth are going to be replaced and the cost involved. We also offer a procedure known as the “All-on-4” procedure that fixes many of the shortcomings that normal dentures have.